BuildLink is a cooperative that allows customers to take advantage of the low price and high-quality products only a buying group can offer. You get the best of both worlds with BuildLink: shop locally while still getting great value for money. The company is locally owned and has been servicing the farming, urban and business communities, in and around the Franklin district, for more than 20 years. 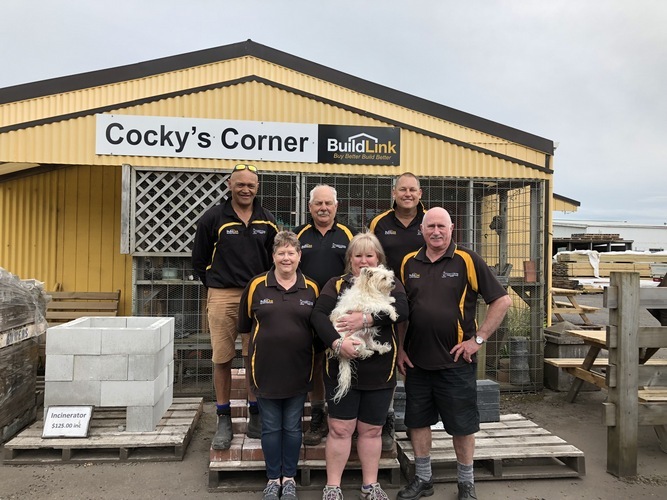 The main focus of the company is to provide quality timber, roundwood, fencing materials and building supplies to farmers, builders and the Waiuku community with real commitment to quality and service. The company has a large range of products including building supplies, sleep-outs, sheds, shelters, runs and and other specialty products. Although the range of products has grown, the company focus is still the same: local firm providing top service to local people at extremely competitive prices. Try us today to experience the personal service we provide. We pride ourselves on our prompt service. Any order placed is delivered in accordance with your instructions. We do our best to get orders out that same day. We deliver FREE within the Franklin district. However, we will deliver anywhere. Delivery charges will apply depending on the size of the order and the delivery address. Check with our sales staff at the time of placing the order.